Places such as Haiku took dim sum to a new level in Cape Town when they opened nine years ago. They remain one of the only places to do cheung fan (a steamed rice roll with various fillings) and the sticky rice-filled lotus leaf, lo mai gai (with chicken and mushrooms). 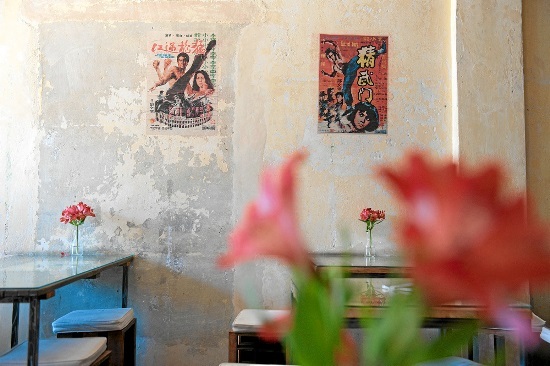 Newly opened in the dogleg of Kloof Nek Road, Hallelujah is a dim sum and “champagne” bar, serving a range of local méthode cap classique wines by the glass. Only open a few weeks now, owner Adam Whitehead feels it is unfair of me to review. But I was intrigued on their second day of business by their menu experiments. The crispy duck came with a delicate waffle instead of the traditional pancake, the pork rib bun was airy and open like a pita, and the kim chi was closer to coleslaw. Tamboerskloof looks forward to what they will come up with. Literally translated, dim sum means “so close to the heart”, and close to mine for my regular dim sum fix is the South China Dim Sum Bar. This article first appeared in the Mail & Guardian in 21 February 2014.